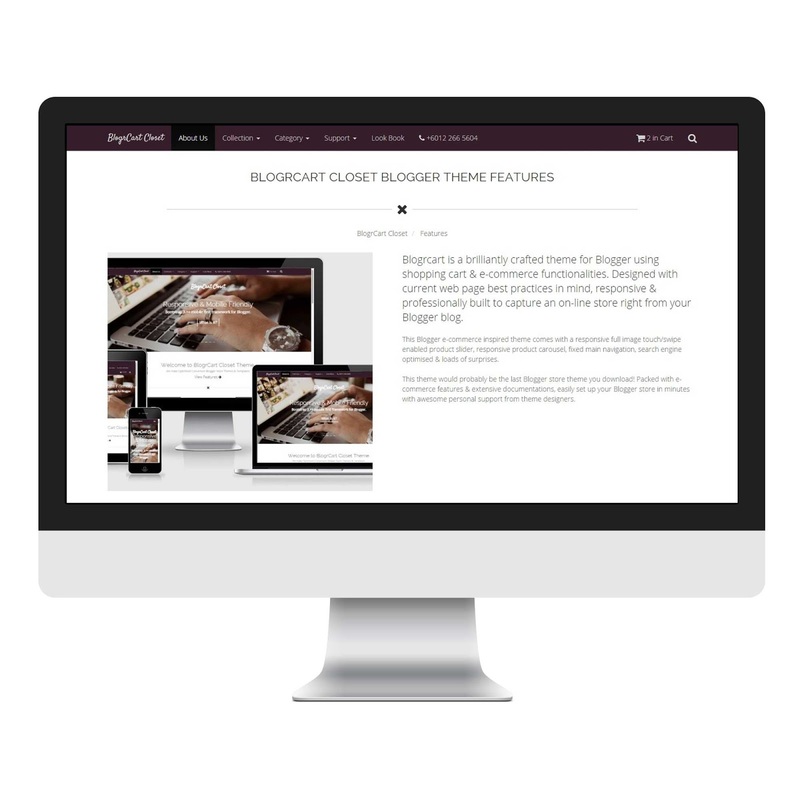 BlogrCart Blogger store themes integrated with simplecartjs - a simple & lightweight e-commerce plug-in for websites (& blogs), makes it easy to manage your e-commerce functionalities with its built-in functions. We have received many request to share how to update the selected item prices for BlogrCart Blogger store themes, to set a default currency (including updated prices) to checkout (send the datas) using currencies available at Paypal. Below is a tutorial (and detail code function) on how to update your BlogrCart Blogger store theme currency (& prices) using Indonesia Rupiah (IDR) to USD (US Dolar) and checkout at Paypal. This is due to unavailability of the IDR currency (not supported) as a Paypal currency checkout option. Now Blogger store owners using our BlogrCart themes (namely BlogrCart Closet Theme) can receive on-line payments using Paypal supported currencies, with prices calculated automatically from their BlogrCart Blogger store. If you do not have a BlogrCart Closet theme, then download one here for FREE, unzip the files, create a new blog, upload & install the template. As requested by our fans at Facebook, the BlogrCart Closet theme demo is currently using the custom Paypal USD to SGD checkout with prices update. Users can check out & view how the functions works. In template editor find <b:includable id='cart-paypal-settings'> and expand to view the detail settings. Highlighted yellow is the additional codes to update your shopping cart item prices to checkout to Paypal and update the final currency ( to USD). Always check on the current currency exchange rates and update accordingly at the remarks included. Make sure the default currency used (at your Blogger store) is not the final currency to use at Paypal checkout. Use the available currency code pre-built with simpleCartjs shopping cart plug-in and also the currency codes supported at Paypal. Always a good practice to notify your users if selecting checkout to Paypal, the items prices will be updated to a new price due to incompatibility (not supported) currency at/to your Paypal checkout. This function is TESTED & works very well with our PRO themes which you can download here at our Markeplace. This advance Paypal checkout function can also be updated at our other BlogrCart Blogger store themes, freemium or PRO, available at our marketplace here, with slight adjustments. Contact us for assistance & one of our team member will surely help out & support.